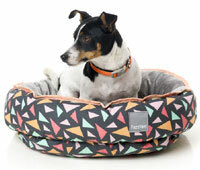 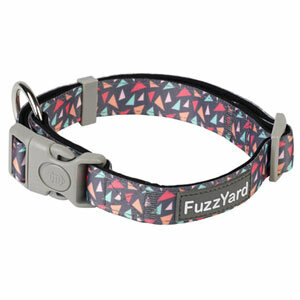 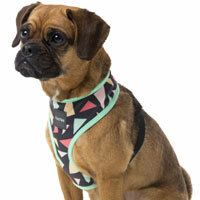 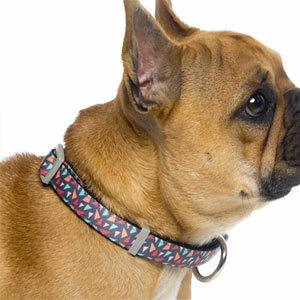 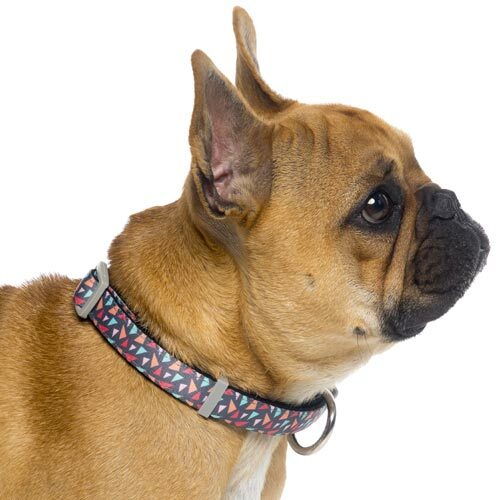 This light, comfortable and adjustable Rad dog collar by FuzzYard features colourful triangles design in soft tones of pink, orange, peach and green on a trendy dark charcoal grey base colour. Walkies are never boring but now they are even more fun. 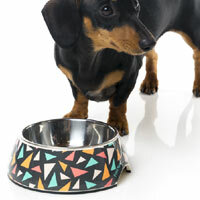 Your dog can strut their stuff in this modern design. 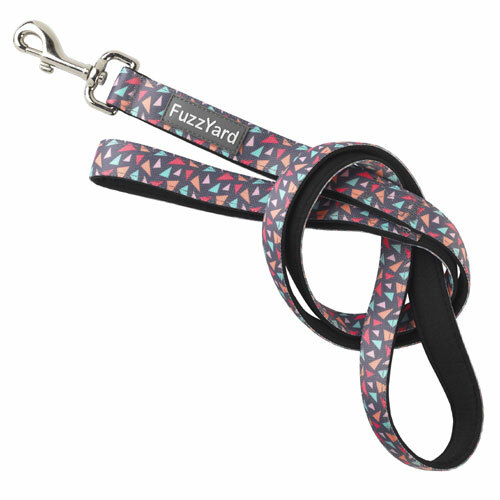 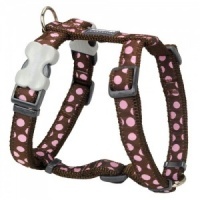 This popular design is available in FuzzYard's dog collar, lead, harness, bed and bowl.